Generating income for local people. Manage 20 specialist community fruit tree nurseries. Work with 10,000 households per year to grow 10 fruit trees each. Support our 20 specialist fruit nurseries. 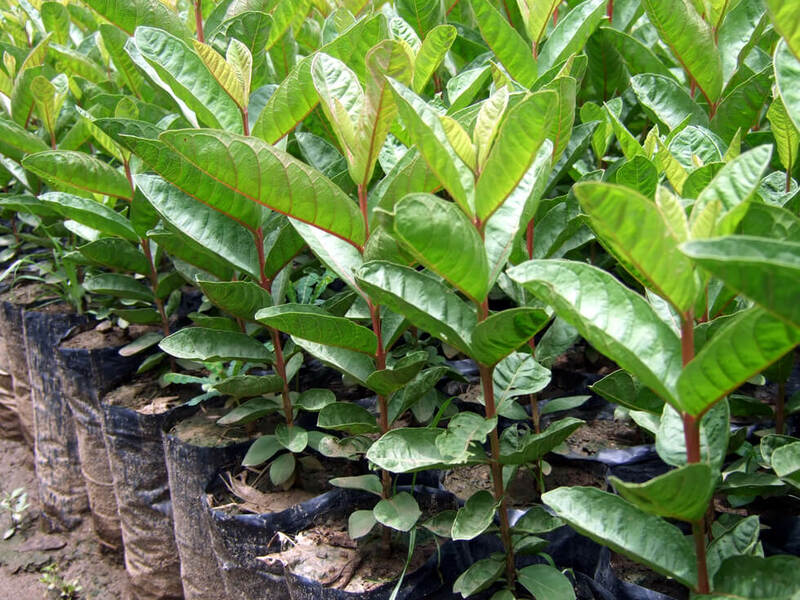 Grow improved fruit trees at our central nursery and distribute to schools and families. Continue supporting our specialist fruit tree nurseries. Continue supplying fruit trees to schools and needy families. By donating to this project, you are helping the environment, improving the health of people in Malawi, and providing a vital income stream to families who really need it. 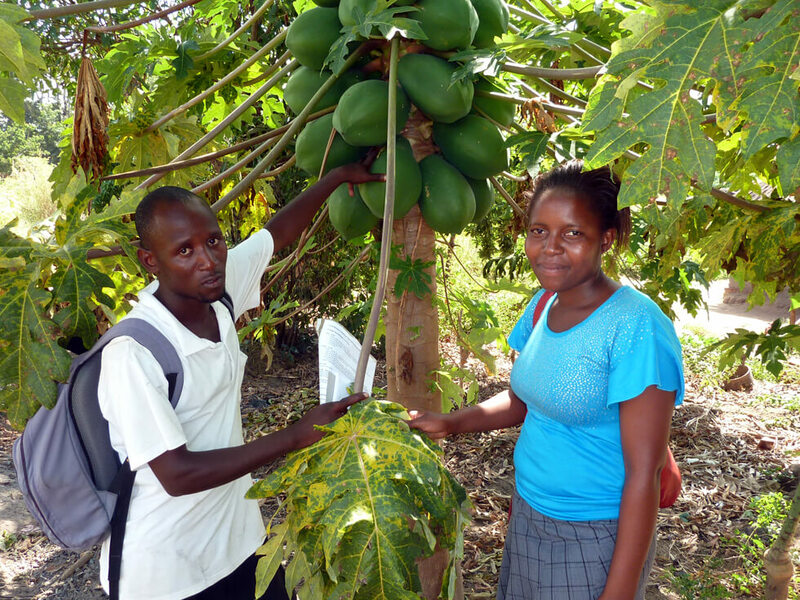 RIPPLE Africa wants as many people as possible to have access to improved fruit trees. 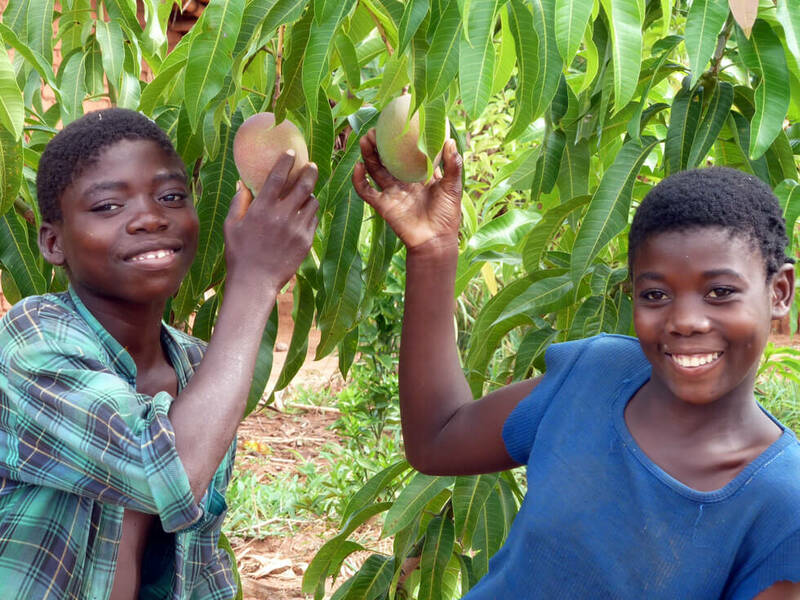 A donation of £10 ($15) pays to grow and plant 10 improved fruit trees in Malawi, Africa. Produce a greater crop yield. Have a stronger resistance to viruses. Are of a much better quality. All fruit trees are for the benefit of the community and, in time and with proper care, will produce enough fruit for community members to eat, and to sell for profit. 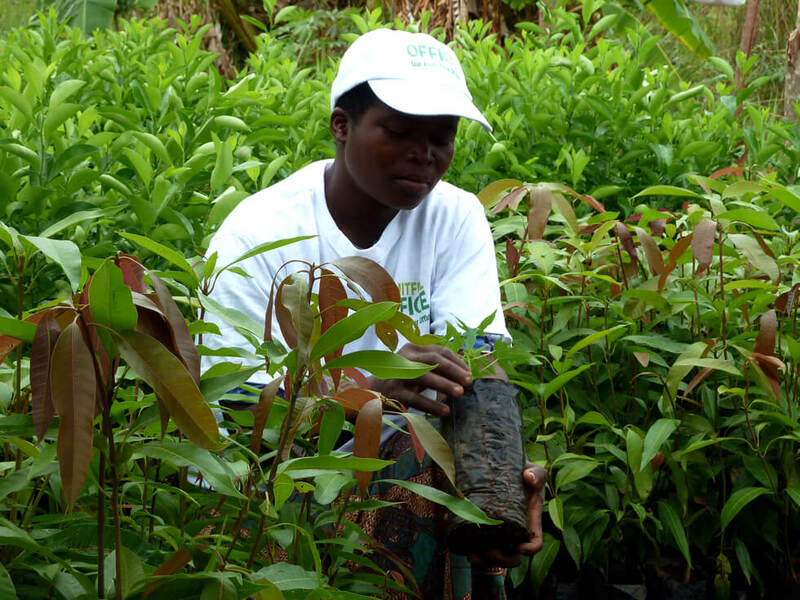 Any kind of tree planting project is hugely important to the environment in Malawi; however, fruit tree planting in particular creates a natural incentive for people to protect their trees as a fruit tree provides both food and income. RIPPLE Africa’s fruit tree planting project is also an important way of improving nutrition. In Malawi, malnutrition is a large cause of death among children, and poor diet can lead to general ill health and disease. Many people in Malawi go hungry and survive only on a staple carbohydrate called nsima (a porridge made from either maize or cassava), severely lacking many of the important vitamins and minerals which fruit can provide. Free access to a variety of fruit at household level improves the health of vulnerable rural families. Lastly, because RIPPLE Africa’s improved fruit tree project produces fruit of a higher quality, fruit from one of RIPPLE Africa’s fruit trees is highly competitive at market, especially some varieties such as oranges and tangerines which are rarely grown in the area. The value of access to a sustainable income stream for a poor rural family cannot be underestimated! 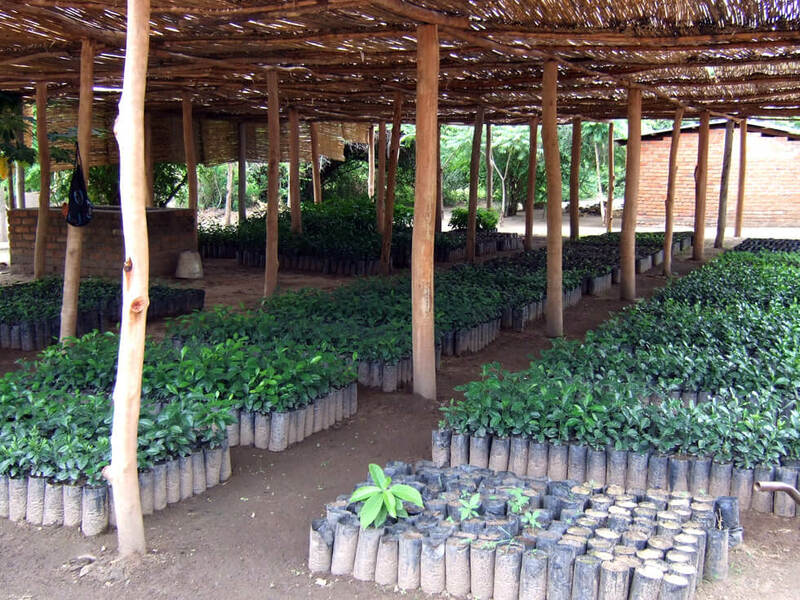 RIPPLE Africa manages 20 specialist fruit tree nurseries run by community groups, and the main fruit tree nursery at Mwaya is now producing a small number of budded fruit trees for sale. Improved RIPPLE Africa mango trees are already producing fruit. Fruit trees are planted in RIPPLE Africa’s improved fruit tree orchards at Mwaya. 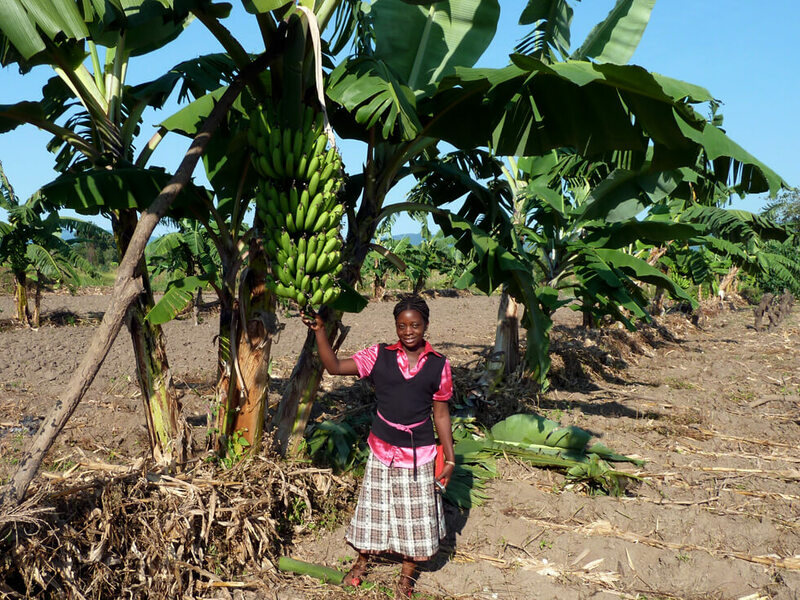 Fruit trees are given to community groups whom RIPPLE Africa help to grow, plant, and look after their fruit trees. Fruit tree groups growing improved fruit varieties are supported. Fruit trees are given to families as part of RIPPLE Africa’s Tree Planting Project. Fruit trees are given to local Primary Schools to plant and teach students the importance of tree planting and the environment. We are continuing to grow this project so that the number of fruit trees available to the local community increases. The budwood orchards are now providing budwood for future improved fruit trees.